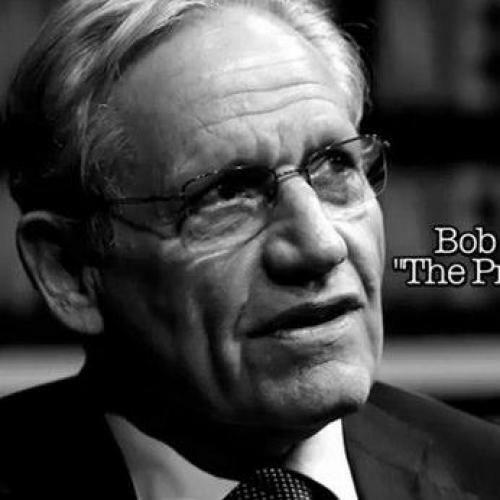 What’s particularly striking about the new Bob Woodward book is that, unlike his past works, he’s making an argument rather than trying to recreate and report on a past event and letting others draw the conclusions. Woodward’s argument here: Obama didn’t lead in the debt-ceiling debate. Woodward told ABC, per Political Wire: “President Clinton, President Reagan. And if you look at them, you can criticize them for lots of things. They by and large worked their will, Woodward said. On this, President Obama did not.” He added, “Now, some people are going to say he was fighting a brick wall, the Republicans in the House and the Republicans in Congress. Others will say it’s the president’s job to figure out how to tear down that brick wall. In this case, he did not.” Does the Woodward book on such an ugly inside the Beltway fight have legs in the swing states in these final days? We’ll see. They’re rallying around Simpson-Bowles because it’s one of the most popular ideas around the country. If you travel everyone says, why didn’t they take Simpson-Bowles? I travel around a lot but clearly not to the right places, because I don’t have a lot of people button-holing be about Simpson-Bowles, or Bowles-Simpson, or even its near cousins Rivlin-Domenici and Domenici-Rivlin! Joking aside, the fact of the matter is that political scientists and pollsters have found that truly undecided, late-deciding voters tend to be very “low-information”—the industry euphemism for “not reading Bob Woodward in their spare time to help them decide how to vote.” Saturday Night Live captured this contingent pretty brilliantly last weekend. If this ad shows any signs of swaying swing-state undecideds outside of McLean, Virginia, I’ll eat a strategically-placed flowerpot.